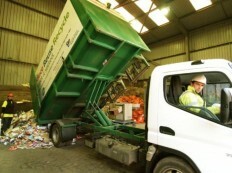 At Fyne Futures we are committed to improving our environment through improved waste management. We offer a range of recycling and reuse services including uplifts of cans and plastic bottles from businesses on Bute. The story doesn’t end there though and we hope that through our blogs and posts our community can become more resilient through green best practise. Supported by Zero Waste Scotland – Resource Efficient Scotalnd are offering a new course called Green Champions. The course covers energy, water and waste. Through a series of very short modules that can be view at any time and in any order, you will discover how your business can become more resource efficient and reduce costs. The course if free and easy to access – just follow the link.